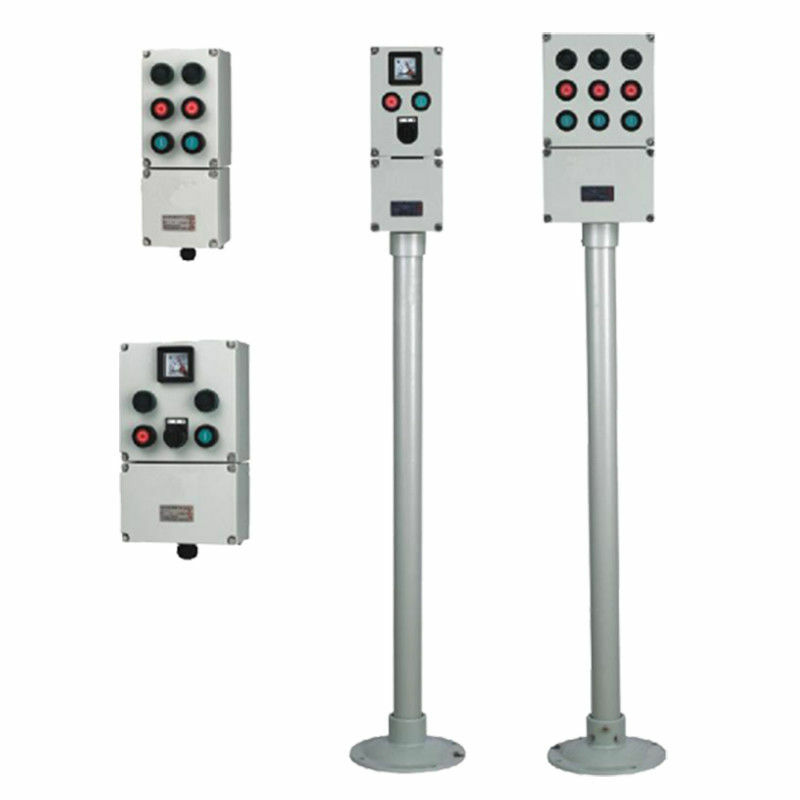 Universal control switch, several electrical functions are available. 12.When STOP is indicated, button is automatically red. When START is indicated, button is automatically green. Otherwise, black buttons are standard. Our main products are: explosion-proof panel, explosion-proof junction box, explosion-proof control station, explosion-proof swith, explosion-proof lighting, explosion-proof enclosure, explosion-proof fan, explosion-proof flexible conduit, explosion-proof plugs and receptacles, explosion-proof connectors etc. more than a dozen series of more than 300 varieties. Widely used in domestic and foreign oil fields, petrochemical, chemical, pharmaceutical, military and other fields as well as international key projects. The products are characterized by exquisite design, beautiful appearance, complete functions and convenient maintenance. They are well received by users. The company has established long-term and stable cooperation with many oilfields, refineries and general equipment manufacturers.